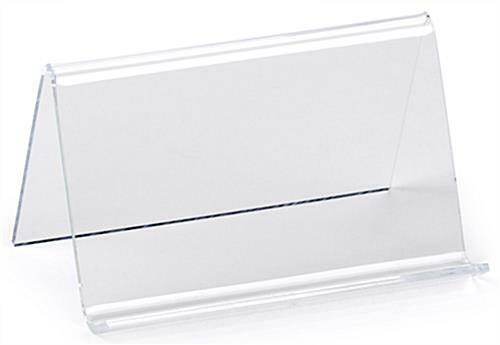 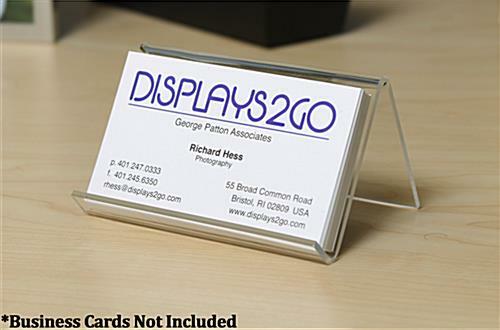 This clear acrylic business card display does not need to be refilled frequently, which is a boon for busy store owners and office staffers. 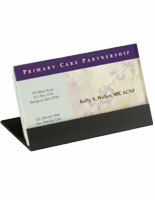 The style works in every setting and remains durable even with frequent use. 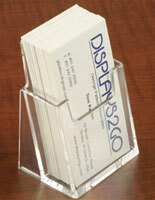 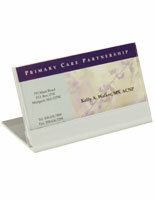 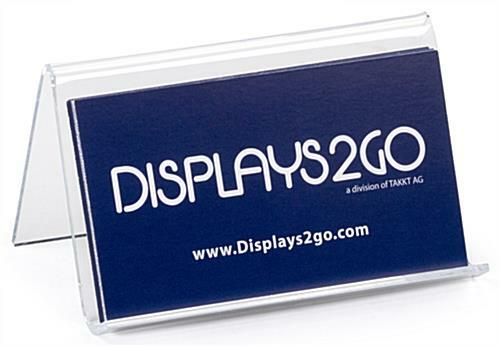 This acrylic business card display is a simple, effective way to promote onself or one's organization. 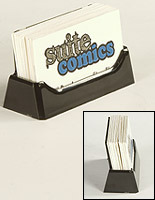 The low price point and compact size of this contact organizer makes it the perfect desk accessory. 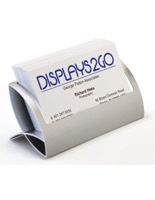 This business card display is lightweight and portable for use on travel, at conventions, sales meetings, and trade shows. 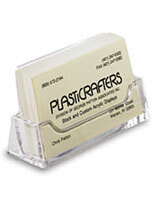 Buy in units of 50 for super-low pricing! 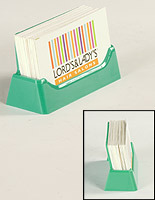 3.8" x 2.0" x 2.8"